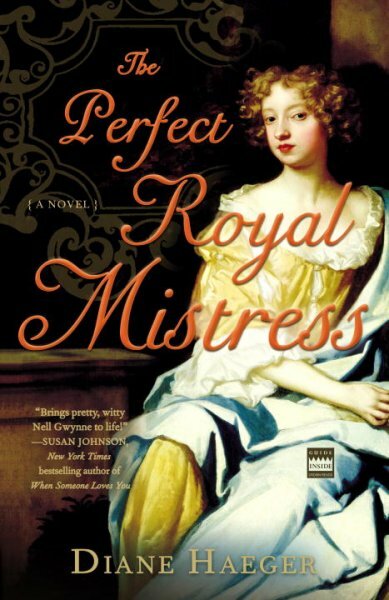 Diane Haeger, a famed historical novelist, achieved a masterful historical picture in The Perfect Royal Mistress, recounting a scandalous love affair that thrived endearingly between King Charles II and his mistress, actress Nell Gwynne, during the English Restoration period. Despite the voluminous amount of details she has incorporated in the story, Diane manages to paint real historical figures in her characters with an accurate sense of time and culture, dominant at that time. This novel is among the very best Diane Haeger has ever written, more so because of its storyline’s believability, plot and characterization. In a nutshell, Diane Haeger’s The Perfect Royal Mistress relishes on a true-life heroin, raised in the seedy, pathetic public houses of a London already destroyed by fire and plague. Neil, the main character, exploits her extremely capricious wit and charm to gradually catapult herself from desperation as a hawker outside King’s Theater to leading roles on stage. It is this alluring combination of wit, charm and skill, and also her availability and or vulnerability that attracts King Charles II, the insatiable womanizer. The story of The Perfect Royal Mistress begins with a recounting of the tale of Nell Gwynne, who was born in abject poverty and then raised in a London brothel. She ends up selling oranges outside the King’s Theater, London, to make ends meet. The theatre had just been reopened following double tragedies of the Great Fire and the plague, both of which had totally devastated the world’s glorious city. These were hard times and it was rare to find a gay person, laughing and joking casually. This actually acted as the selling line for Nell, having a canny sense of humor and a natural charm. She was easily noticed and liked by thespians and patrons, some of whom were nobles and men of wealth. The unique thing about her is that she is too street-smart to become a prostitute like most women of her time, in her state, did. She instead perfected her talent, her addictive charm, her wary intelligence and her sheer determination to survive, to learn and entertain prospects. Within no time, she understood how the world operated in the high echelons of the society. This eventually helped her to cross over from the theater’s pit and over to the very stage of the King’s Theatre. Even before she became the singular most beloved leading actress of comedy, she had crossed over the barrier of class and her determination was still as fierce. Diane Haeger paints Nell as a skilled thespian, with a rare complimenting beauty. She therefore won the unanimous attention of the entire London populace, from the rugged to the top of the tier. And when she caught King Charles II’s eye, a true attraction was engineered. The notoriously lascivious King Charles, a sire of dozens of illegitimate children made the move, just as it would have been expected. The scrappy, merry girl, with an amusing friendly but very pretty face had digressed from her class even further. Her quick wit was however to meet the greatest challenge when she was finally plunged into the confusing and perceptibly dangerous world of a mistress in a king’s court. Yet again, the mistress and soon to become The Perfect Royal Mistress, rose aptly to the challenge and quickly learnt who she could trust and the many to be wary of. Coteries of noble competitors to the king sought the hand of the beautiful Nell in marriage but she opted for a share in the single most powerful man in England at the time. Thus became the tale of a mistress, an icon of achievement, Nell Gwynne, as crafted from history by Diane Haeger. Capturing the heroin from the gritty streets of a gradually restoring London of the 17th century London, Diane takes the reader into the backstage of glamorous theaters and then to the glittering and awe inspiring court of King Charles II, as The Perfect Royal Mistress lives a legendary love story. At the heart of the novel is a story edible to and for all ages, following the transformation process of a truly remarkable mistress, a heroine who makes any rags-to-riches account pale in comparison. Published by Three Rivers Press in English, Diane Haeger’s The Perfect Royal Mistress spans an exciting and deeply thrilling 405 pages of English Restoration Romance. This 2007 book is a must read for those in love with love stories and especially historical romance. It also doubles up as a motivational book, chronicling a rare breed of a female achiever.